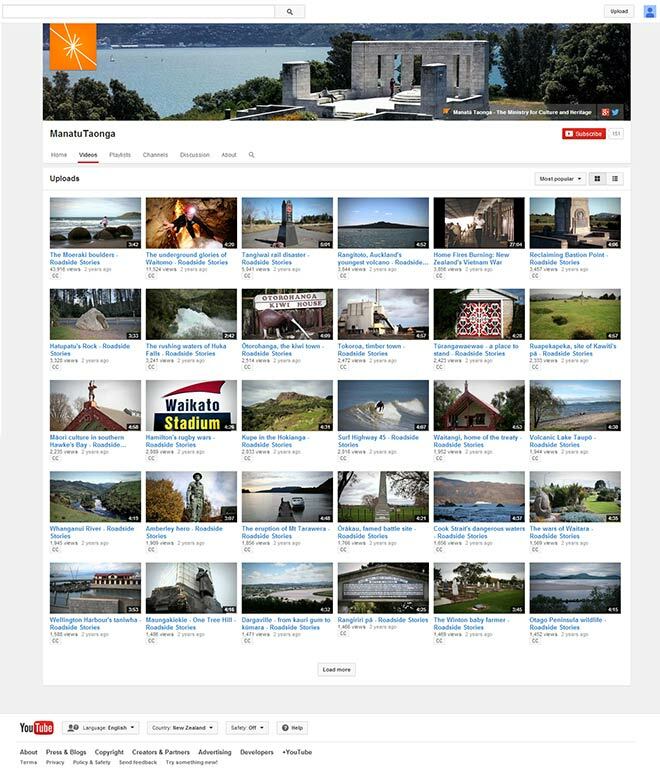 This is a screenshot from the Manatū Taonga Ministry for Culture and Heritage YouTube channel, showing some of a series of 140 Roadside Stories. These audio-visual commentaries on New Zealand sites of interest were produced using content from Te Ara. Roadside Stories was released to coincide with a surge of tourism during the 2011 Rugby World Cup, hosted by New Zealand.